Set the pace on a new season’s trail with this versatile DofE–approved Womens Midas Hybrid Jacket. 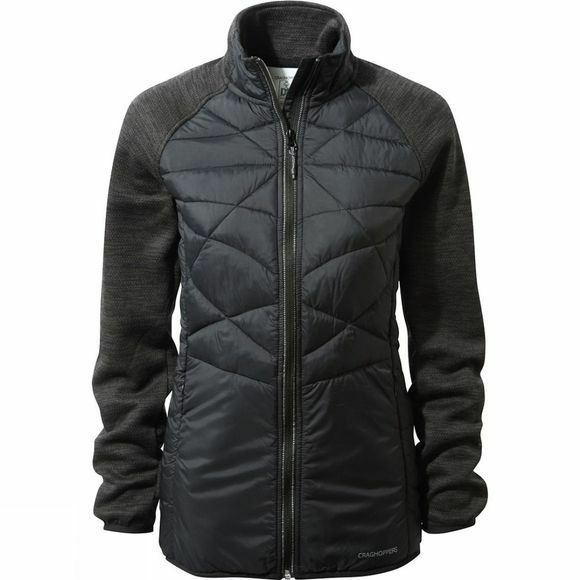 Midas features an inspired fusion of soft microfleece fabric with the impressive insulating properties of Craghoppers Compresslite, creating a stealth mid–layer that really packs a punch. Slip it under a waterproof shell for weatherproof performance.